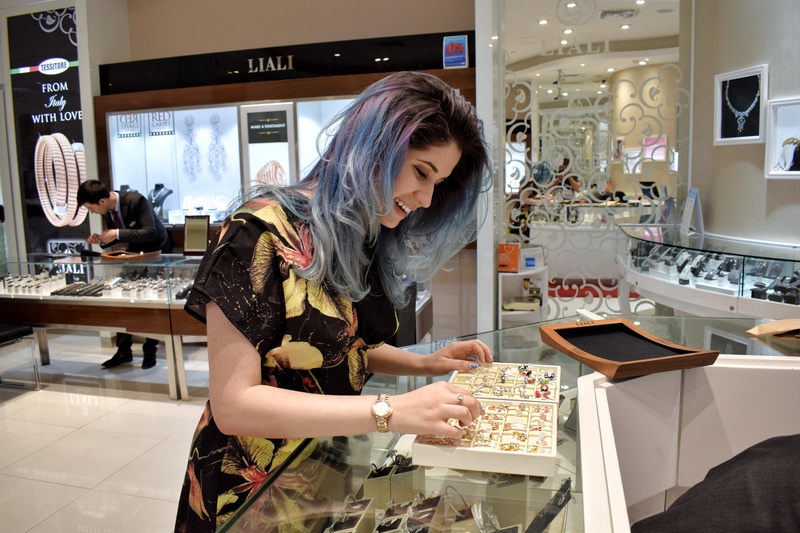 Earlier this week I went over to the new Liali Jewelery store that just opened at Mercato Mall. 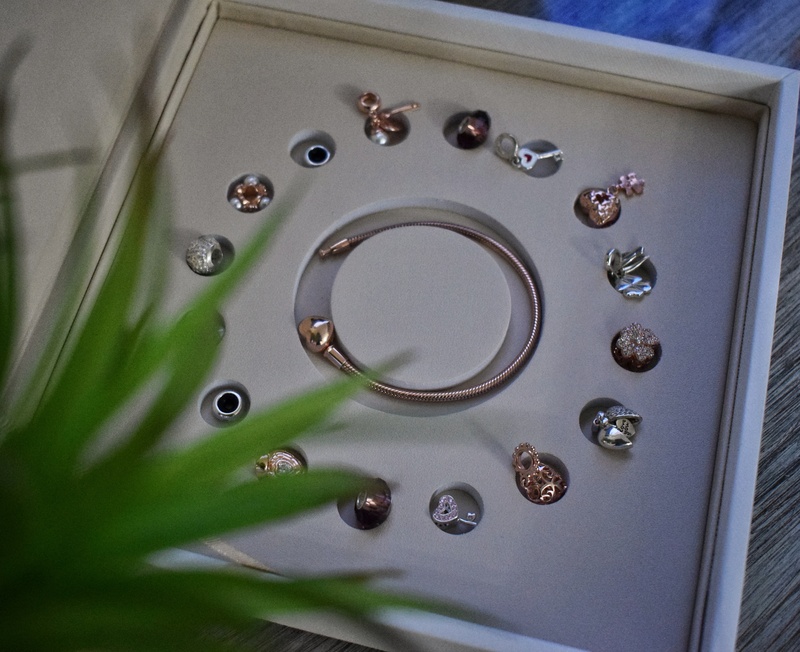 Liali is my FAVORITE place to go check out for some modern jewelery designs. 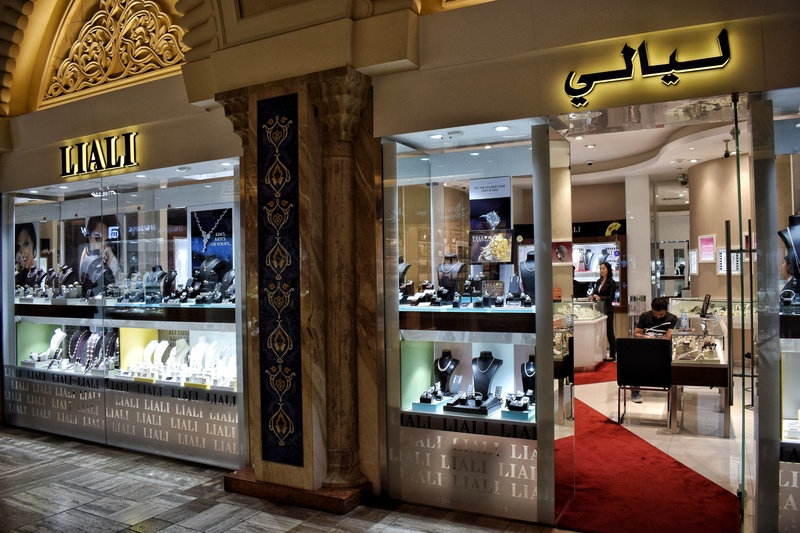 Even though they are in Dubai since 1999 and carry a lot of tradition, Liali always launches new collections that fit the modern days. There I discovered their latest release: CharmsDay!! 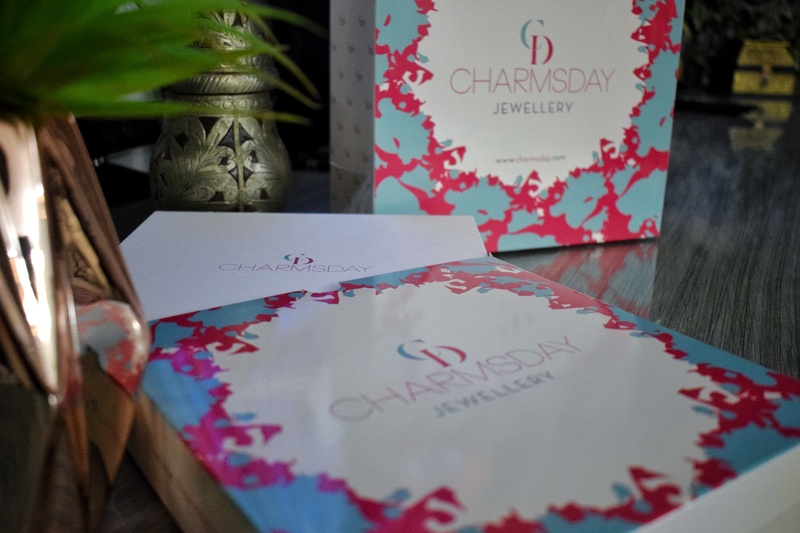 CharmsDay is a new brand, hold by Liali, that sells bracelets and charms that will help you tell a story! 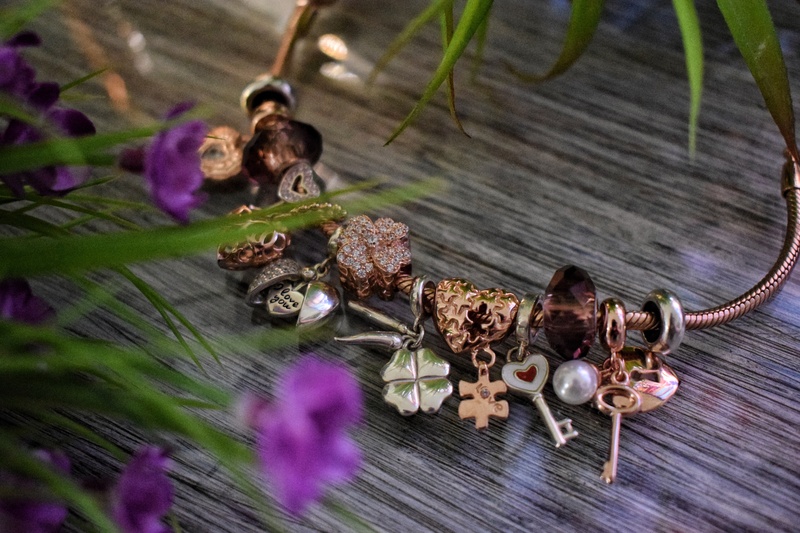 First date, weekend out, graduation, wedding, birth, new home, your four-legged friend… Doesn’t matter the situation, CharmsDay will the perfect charm to add to your bracelet and keep with you your dearest memories! Ohhh!! And if you find it difficult to build your own, CharmsDay sells “ready to wear” bracelets. You can find themes such as: Under the Sea, Netflix and Chill, Monocrome Classic… So you can have the one that will perfectly describe you. 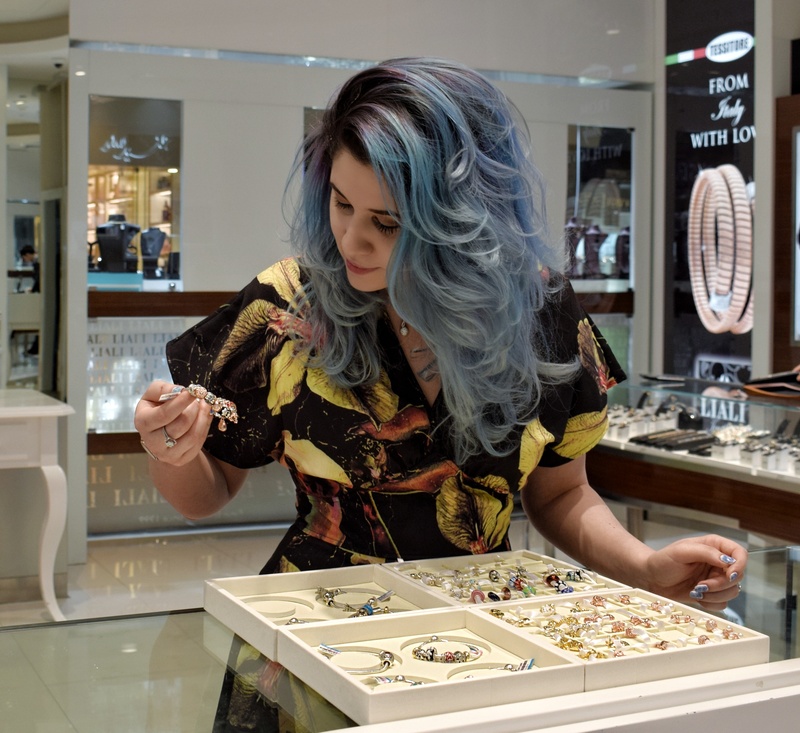 The next day itself I told hubby to take me to Liali at the Dubai Mall so I could tell our story with CharmsDay. All the staff was super caring and helped me along the process. There are so many options of stoppers, bracelets, glass and silver beads, that I took one hour to decide on my bracelet. Liali’s staff were worried that I would leave the store happy and accomplished. They helped me balance and style my charm. I created many till I was finally content! And they were with me along the way. CharmsDay works with the best material: silver 925! This silver is the purest you can find guaranteeing enough hardness to make a life-time product. 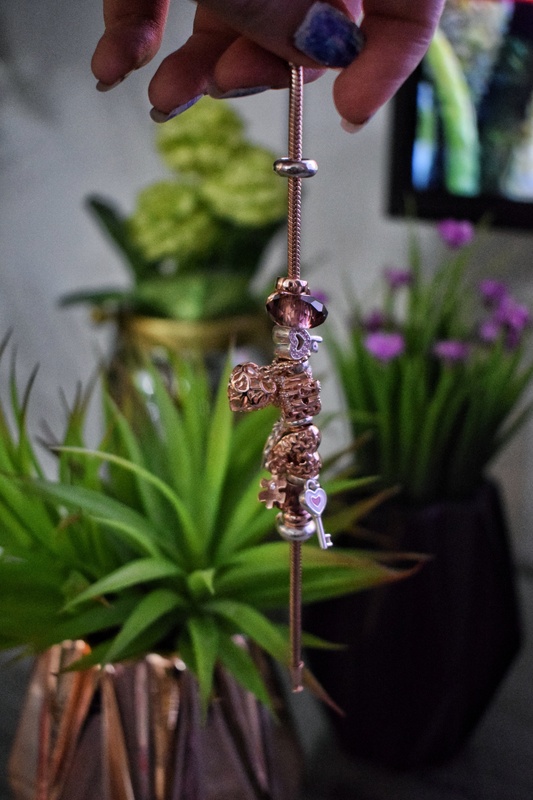 You can find bracelets and beads in pure silver, gold and rose gold plated (silver center). They also offer glass work beads, which and super colorful and delicate. They offered me the beads tray and I was there for a long time deciding on the perfect mix of colors and meanings to tell my romantic story. I wanted to make a bracelet that would represent my love for Hamza (my husband). We met on instagram in 2014 and we have been through some tough times till we finally settled down as a family of our own! So I wanted to dedicate myself into making it. 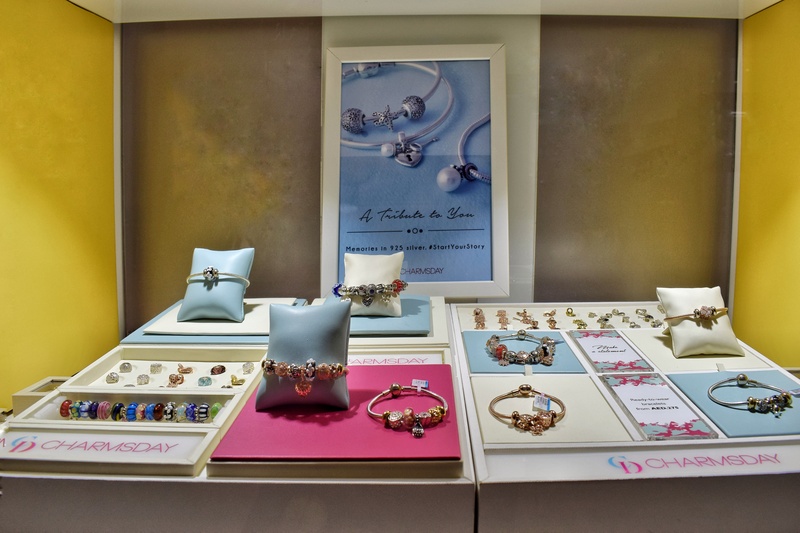 The plain bracelet have prices that go from around 195 dirhams till 250 dirhams. Starter bracelets (1 bead and 2 stoppers) can be around 350 dirhams. 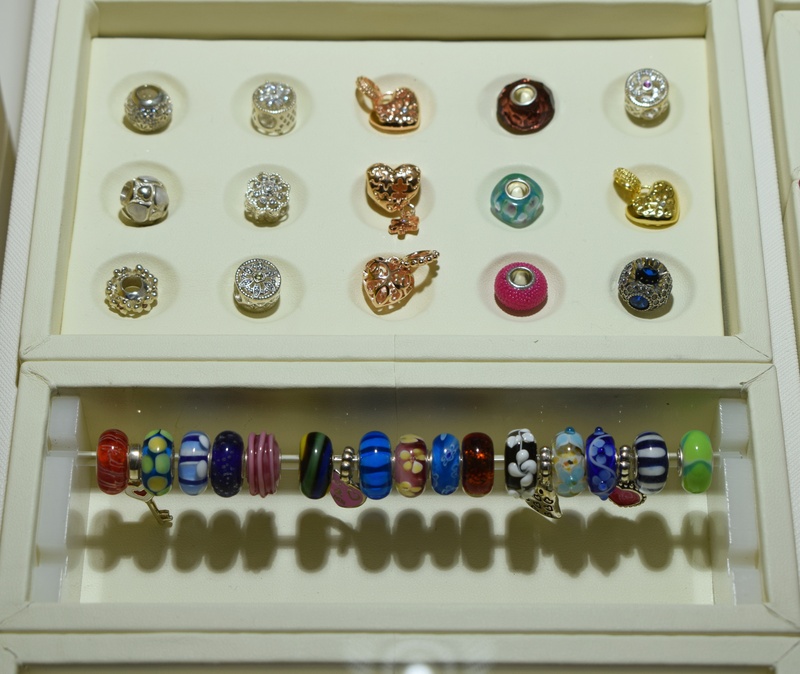 The beads can vary from 25 dirhams till around 150 dirhams each. Ready to wear can go from 750 dirhams up to over 1350 dirhams. I chose mine and now I am here to share with you my creation! I balanced my bracelet with some silver on the rose gold theme and I thought it made everything just so perfect!! Even the stoppers I chose silver. Abu Dhabi: Al Wahda Mall. firstly i be so Thankful for a such a beautiful blog…eventually when i was surfing ur blog to be frank even i was so grateful to this Bracelets and what not more.. Thanks for your blog which is so informative and helpful..! Have a good day mam..! 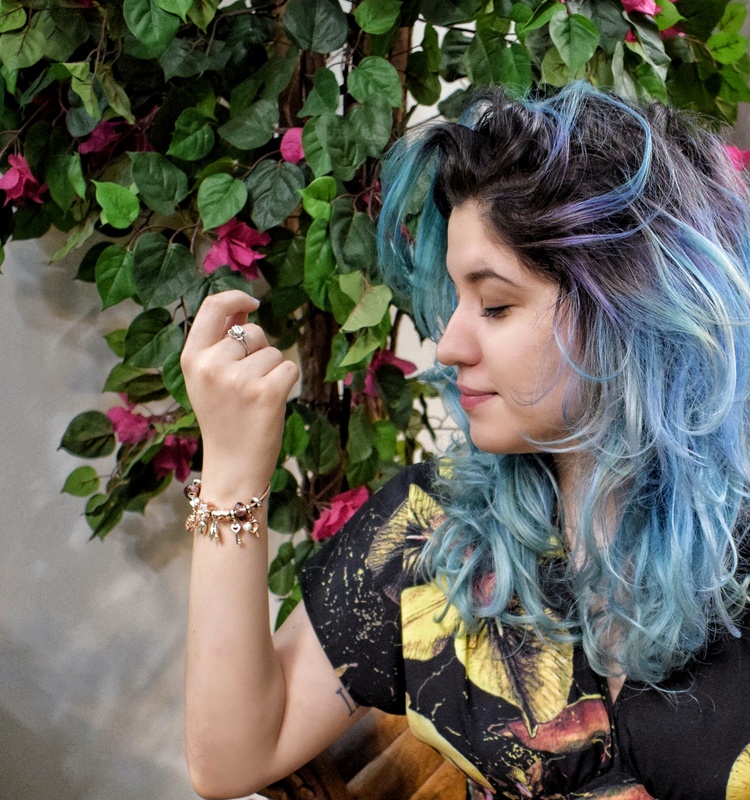 Previous Previous post: OOTD: between all the pretty things! Next Next post: OOTD: a jumpsuit that kills! !